Beau's Barrel Room: The Summer of Riesling is here! The Summer of Riesling is here! Finally, after a long winter and wet spring, summer has arrived. Around this time of year I receive many pitches for "summer wines", "summer cocktails", etc, etc. Most of them are utterly stupid wines, recipes, or events. There are, however, events that I can fully get behind and use my blog to help popularize. The Summer of Riesling is one of them. What, you may ask, is the Summer of Riesling? Well, it's a way to beat the heat, drink wine, and connect with other wine lovers. Specifically, it's a celebration of all things riesling. 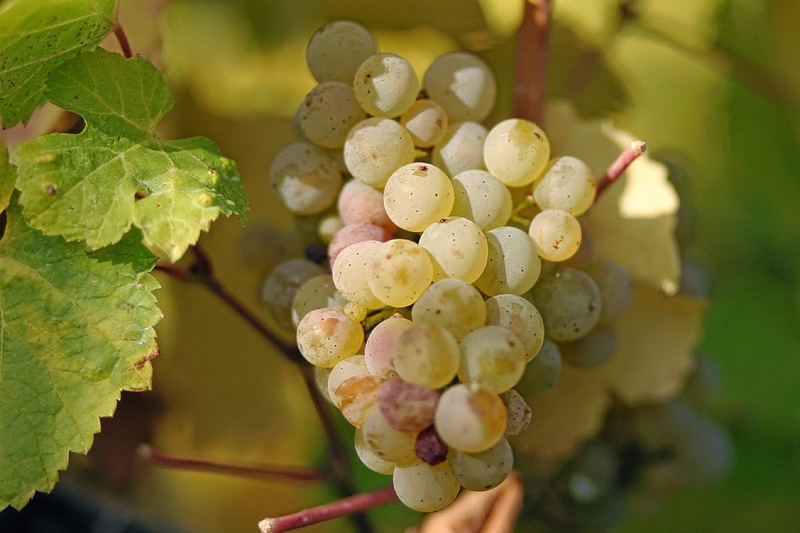 Riesling is one of the coolest grapes in the world, period. Grown all over the world, it can be dry, sweet, in between, or even have bubbles. Some of the major riesling production nations are Germany, France, Austria, the United States, and Australia. You'll also find riesling in New Zealand, Italy, South Africa, and Canada. Perhaps the most famous region in the world lies in Germany, in the Mosel River Valley. Last week I received some cool information from the Wines of Germany trade group, regarding their plans for this years Summer of Riesling. Copied below is the press release, which will be of interest to riesling fans across this country. June 23, 2014 (New York, NY) – Wines of Germany has once again proclaimed July as the “31 Days of German Riesling” with by-the-glass specials and tastings at restaurants and wine shops across the country. For the fourth year in a row, Wines of Germany has partnered with Paul Grieco and his Summer of Riesling team at Terroir wine bars and Hearth restaurant in New York City for this promotion. Over 100 restaurants and wine shops will participate in the seventh “Summer of Riesling” program, and each will dedicate July to all things German Riesling. Participating restaurants will offer at least two German Rieslings by the glass throughout the summer, with special offers such as wine flights and food and wine pairings during the month of July. Wine shops will offer in-store tastings and discounts on bottles of the beloved beverage for the entire month of July as well. Leading participants include restaurants such as Gramercy Tavern and Restaurant Daniel in New York City; Prospect in San Francisco; Lukshon in Los Angeles; and Empire State South in Atlanta. A full tasting schedule and program details can be found at www.31DaysGermanRiesling.com. To add to the celebration, Wines of Germany is hosting an online sweepstakes for a chance to win a trip for two to Germany. To enter, consumers should post to Twitter, Instagram or Vine from a 31 Days of German Riesling tasting or participating restaurant and geo-tag their location with the hashtag #31DaysGermanRiesling. In addition, consumers can enter to win one of 200 $25 Wine.com gift cards just by using the hashtag #31DaysGermanRiesling on social media. Consumers can also enter to win both prizes via Facebook by uploading posts and photos directly to the Wines of Germany Facebook page. To keep the celebration going, German Wine Queen Nadine Poss will visit New York from July 7-10. Originally from the Nahe region, Nadine was chosen from amongst the 13 regional wine queens of Germany for her wine knowledge, sparkling wit and overall demeanor. During her visit to the U.S., she will host the Summer of Riesling Concert Cruise on July 8 in New York Harbor and visit local New York restaurants and retailers. So raise a glass to the "31 Days of German Riesling" — a new habit you'll never want to break! There you have it, the Germans are really making a push for you to drink German riesling this summer. I can't blame them, as some of the best rieslings I've ever tasted have been German. Keep your eyes open and check out the 31 Days of German Riesling website for information on tastings that could be in your area.